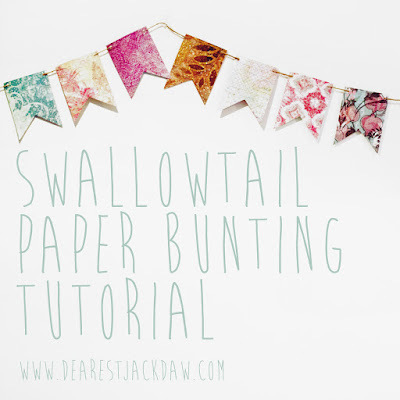 Make this super-cute swallowtail bunting in a snip using materials you've probably already got laying around (win!). Perfect for weddings, parties or just to jazz up your home. Read on for the full tutorial, all images can be enlarged with a click - Enjoy! 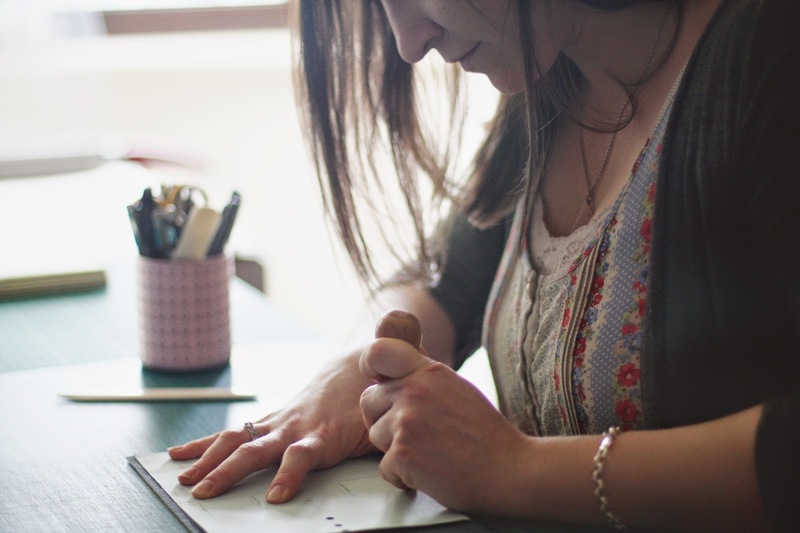 Back in the summer I was contacted by the wonderful Charley of Artist not Included to collaborate on a personal project, creating a bespoke journal combining my bookbinding skills with her fantastic screen printing skills to produce a totally unique journal for someone special. 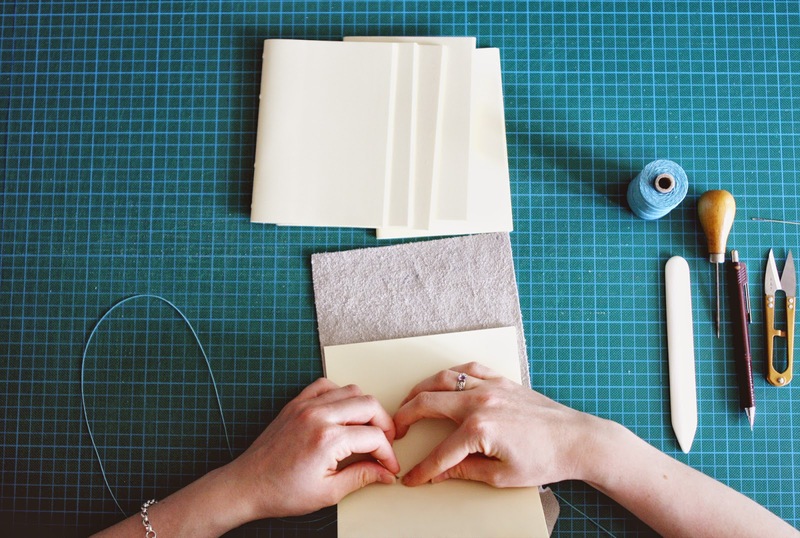 Well, we certainly didn't fall short - it was so much fun to work with Charley, picking out the perfect materials, sending them back and forth until we had the perfect combination of leather, paper and ink! Not only are there the sweetest screen printed robins all over the cover, but there's a golden robin on the first page followed by the most beautiful poem - I think we did pretty well, if you ask me! Check out the images below for some work in progress shots - this truly was one of the best projects I've ever worked on, seeing an idea like this come to life was amazing and hearing how well the journal was received was just wonderful. 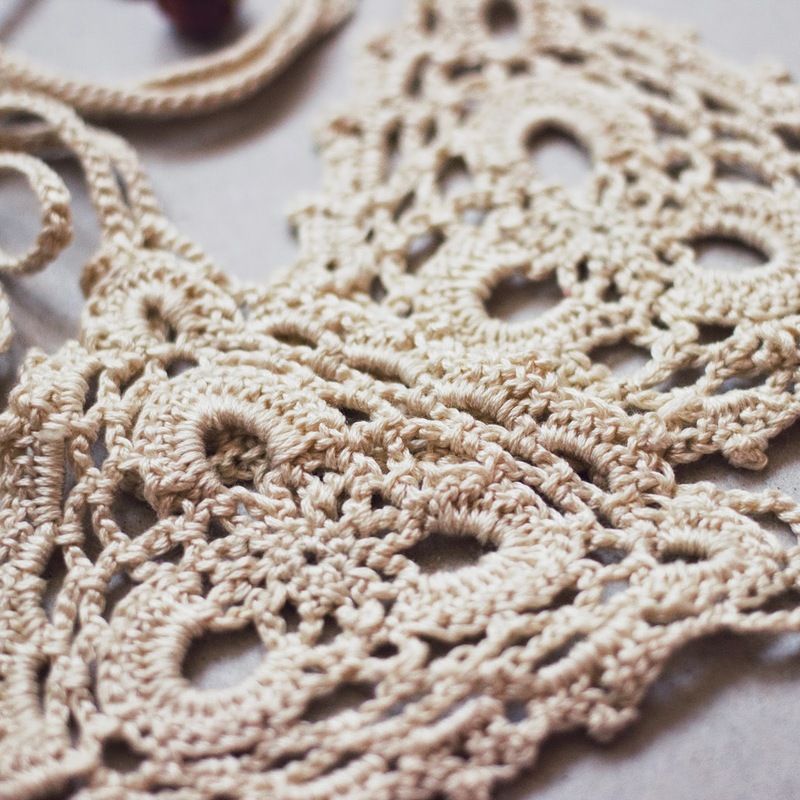 Check out Charley's blog post to read a little more about it and check out her awesome work! These are so easy. SO EASY. 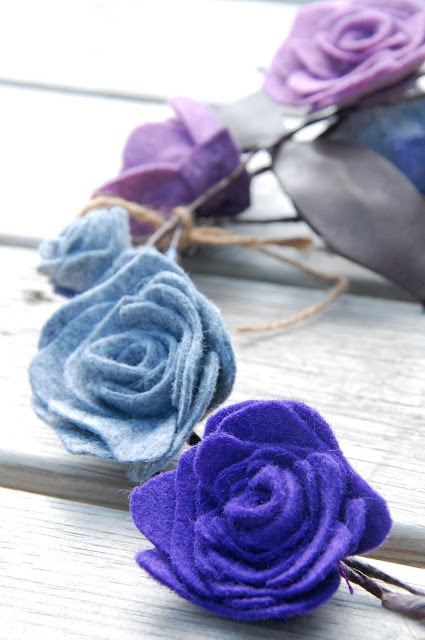 Totally cute little felt roses that make everything look pretty. I've made brooches, garlands, wall decorations with them. You can stick them to your shoes or update a clutch bag with them for a big event. Anything! I'm going to show you how to whip them up quick time so you can get on with making all kinds of great things with them! Step 1 - Cut your petals. I managed to get one nicely sized rose out of a piece of felt measuring approximately 10 X 20cm. 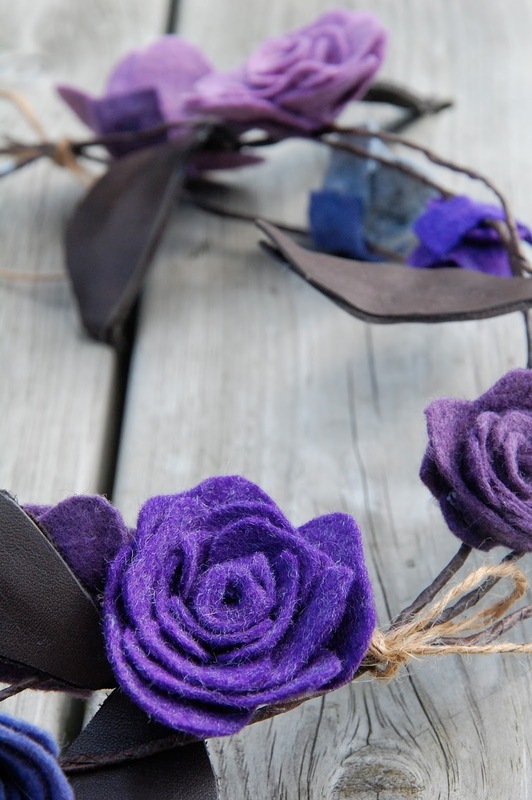 From this piece, you'll need a 15cm strip for the rosebud (cut into a similar wiggly shape to the one in the photo) and a selection of organic shaped petals ranging from small to large. Step 2 - Make your bud. Once you've cut all your shapes out, it's time to sew them, starting with your bud! Begin rolling your rosebud with the skinny end in the centre, adding stitches as you go to keep it from unrolling. Once you've rolled it all the way, secure with a knot. Your rosebud should look something like this, cute huh? Step 3 - Get those petals on! Next up we're adding some petals! You want to sew a continuous line of stitches all the way around until you get to the last petal so your rose will be extra-secure! You want each petal to overlap slightly so the trick is to add a new petal part-way through sewing the previous one. Start with your shorter petals in the centre, getting larger as you work towards the outside. I've snapped more photos here for reference. 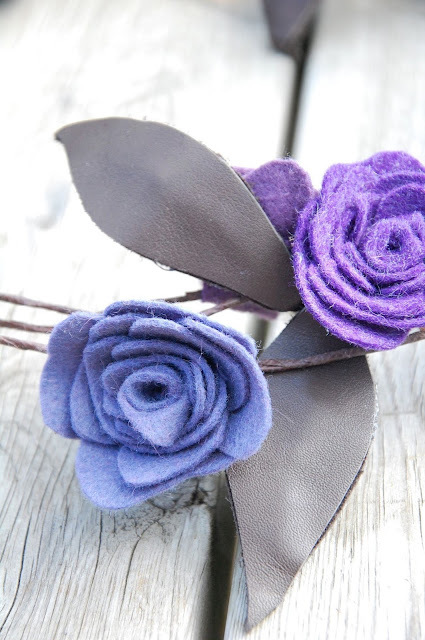 Once you've sewn all your petals, secure your thread and your rose should look something like this! If you like the look of it like this, leave as is or if you want it a little fuller, pull the petals out backwards towards the stitching starting from the outside working your way around until your petals don't stay put anymore! If you want it to be extra secure, you could add some glue on your stitches but it's not necessary. There you have it, cute little roses to add to whatever creation you like. I like to use woolfelt for these because of it's thickness but acrylic craft felt could work just as well - if using the thinner acrylic felt you'll want more material for thicker roses! 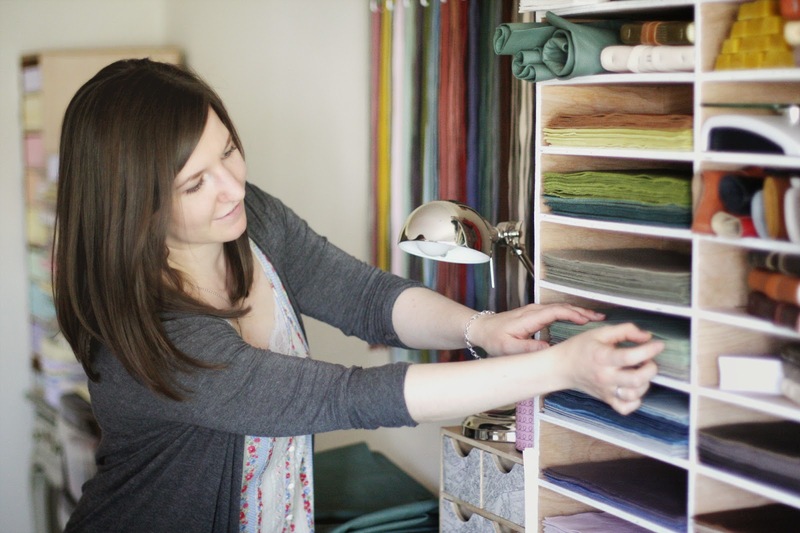 You can pick up woolfelt from The Eternal Maker in as little as 10cm X 90cm strips right off of the bolt so you can choose a fantastic selection of colours without breaking the bank - WIN! 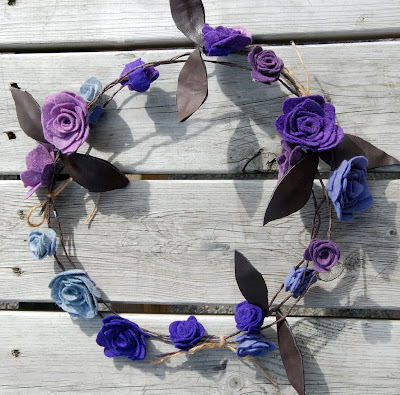 If you want to make a garland or wreath, just measure 6ft or so of wire, wrap with floral tape and glue your roses along the wire using left-over felt scraps as a backing to secure it in place. The leaves were created using scraps of leather glued to a short length of floral tape covered wire (with a leaf at either end) and simply wrapped the wire once or twice around the garland where I wanted. 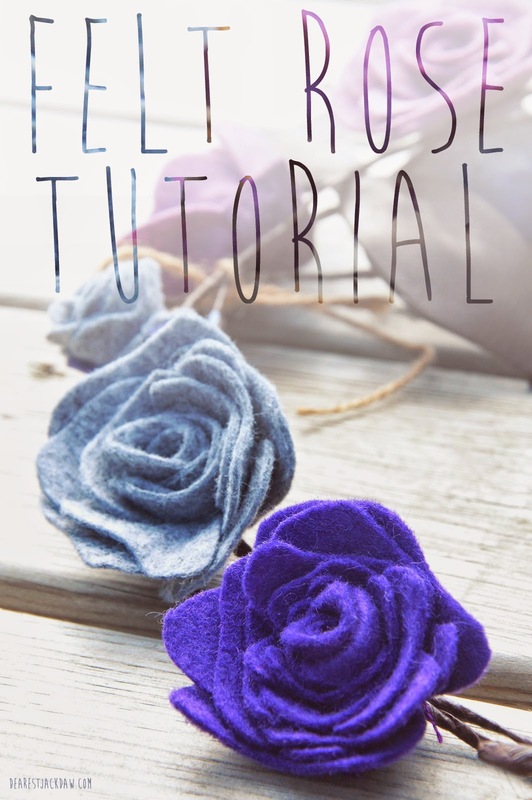 Hey-presto, you now have one super beautiful felty-rosey garland! To turn it into a wreath, just coil it up to a size you're happy with and tie with twine and you're done! This tutorial was originally written by myself for the Button Company and can also be found here on their blog. We did it again. Natalie & I went out to shoot one thing and then this happened.. I felt compelled to do some composite work after being inspired by one of Brooke Shaden's workshops that I've seen numerous times on Creative Live (if you've not heard of Creative Live before I URGE you to check it out!). Composite work isn't new to me, but it can be time consuming. In my college days I would spend hours on just one image and found it really therapeutic. Watching a few photographs turn into art over the course of the edit for me was magical but it's not something I can justify using the time for anymore.. why. is. that? This image combines only around 6 or 7 images and was a fairly straight forward edit. 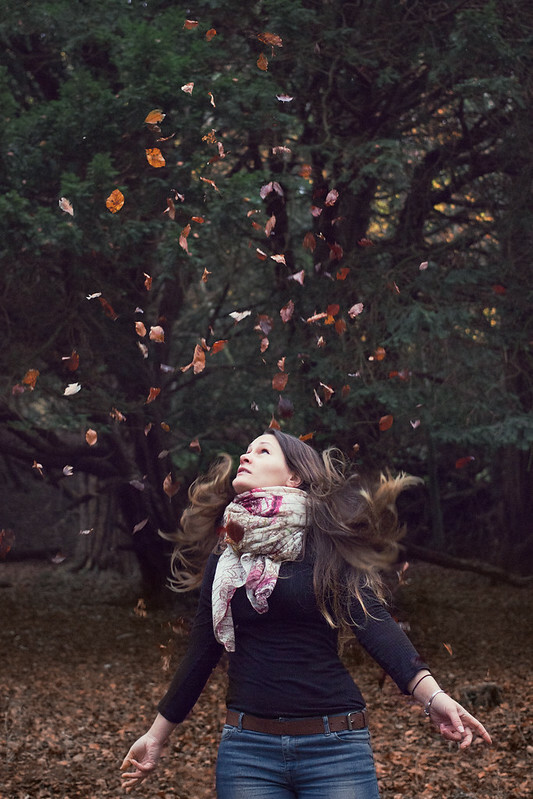 We shot it on a total whim whilst setting up a different shot all together and I love the result. Here's a lil'shot of me that Nat took from the same session. Autumn is so pretty. 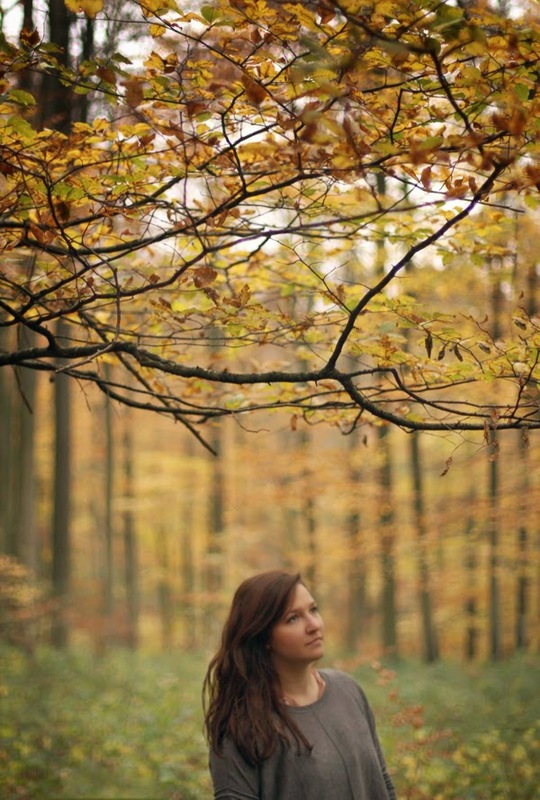 Miss Miller and I ventured out to the woods at Goodwood. This particular trip was supposed to be Nat's day.. 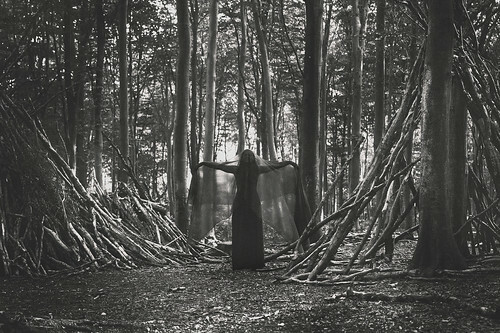 I wasn't supposed to be shooting, I was supposed to be helping but then we found this creepy area of part built shelters and then this happened. Have one goal in mind. Plan entire trip around said goal. I have so much love for this girl, she keeps me motivated and inspired. We bounce ideas off of each other and although a lot of my ideas are completely ridiculous, she gets it and manages to somehow keep a straight face whilst we attempt said ridiculous shoot, whether or not it works out. She's the number one reason I still find the time for photography (and by this I mean, actually get out and shoot something for fun and not work-related). It's not that I don't want to, I love taking photos and I truly miss the 'old days' where I would shoot self portraits weekly, or set up a photoshoot just for the sake of creating beautiful pictures, but finding the time around everything else can be hard - I seriously need to schedule some time in to do this more often! 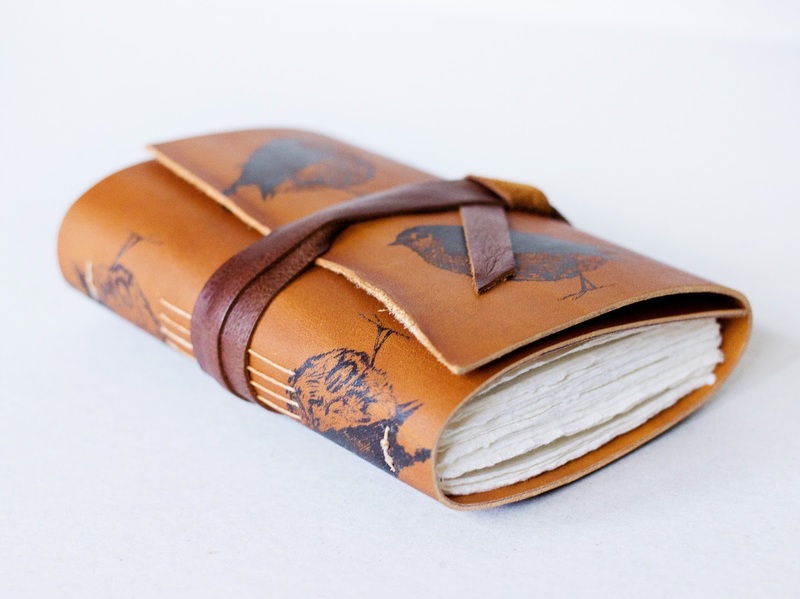 Huge news for Jackdaw Bindery! My good friend Natalie Miller came round to drink tea and shoot some beautiful photos of me and my studio that I'm so thankful for. If you're interested to know more about myself, Jackdaw Bindery and how it all happened, you can read the whole article on the etsy blog. 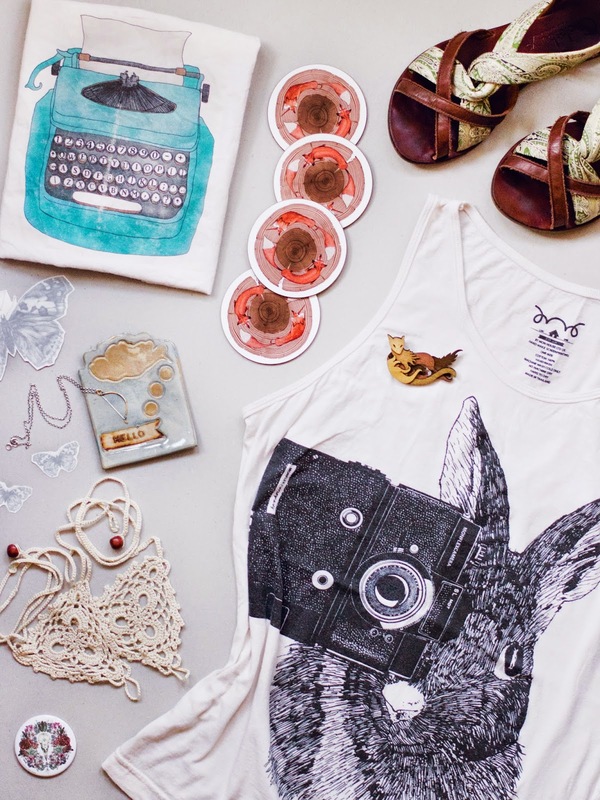 Some of my favourite handmade, illustrated and hand-printed items I've collected over the past couple of years. I love the thought that a lot of the items I own aren't also owned by the masses and I love supporting artists and designers around the world. Of course, this is no where near all of the incredible handmade goodies I own, so I'll have to do a follow-up post in the future with more! My well-loved typewriter illustration bag by Ceridwen Design. This has been thrown around in my bag and in the washer so many times and it still has tonnes of life left in it! 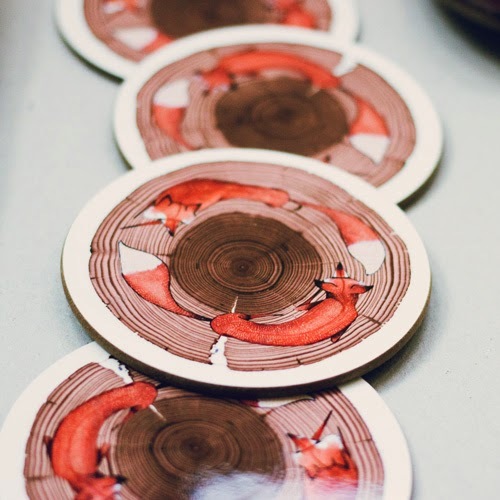 Super cute chasing foxes coasters by the ever-talented and lovely Caleighill. I also have one of her crazy-odd creature prints, 'Creature Hoarder' up on the wall and I love him so! 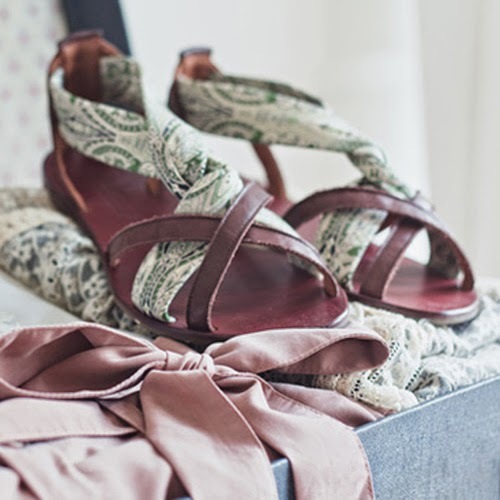 Quite possibly the most beautiful and comfortable shoes I own, my Audrey sandals. Handmade here in the UK by eco-concious Cholesburys using recycled leather and a gorgeous vintage Liberty print. 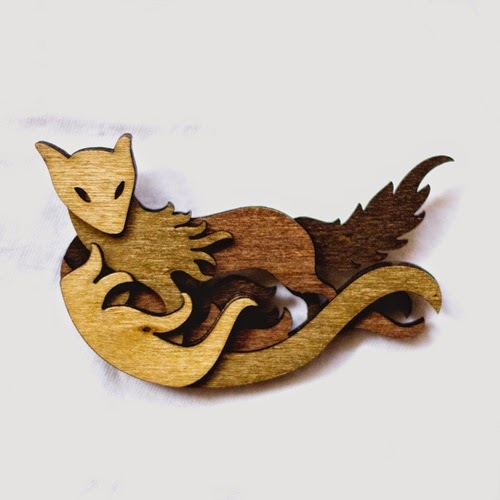 Layered wooden fox brooch by Martin Tomsky who has managed to transform his illustrations into these amazing laser-cut brooches and wall art. The rest of his work is totally worth checking out to really appreciate the impact and depth he manages to create with just one material! Hand screen-printed tank-top by Mon Shop. I picked this up from their stall at Camden Stables Market and seriously had to hold myself back from buying just about everything I saw there! 'Things We Found in the Field' pocket mirror from The Aviary.. I think I have like.. 4 of these all in different designs, they're all so pretty! Gorgeous barefoot sandals. I bought the pattern from Isamo Crochet knowing full well I can't crochet to save my life. Thankfully, a lovely lady from Mauritius crocheted these for me and sent them all the way to the UK for me! Lucky lucky me, I'll be wearing these on the beach this Summer! Just for fun, temporary butterfly tattoos from The Aviary. I originally bought these as a gift but they umm.. accidentally stayed in my stash here instead. 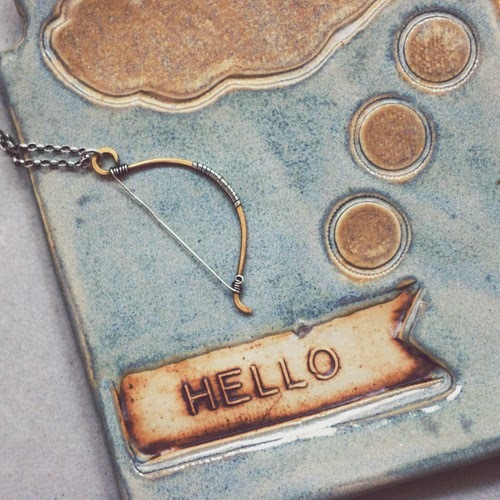 'Hello' Soap dish by Stone's Throw Ceramics. It's actually a spoon rest, but I bought it to use as a soap dish and now I've seen it with jewellery in, well I think I might have to buy another for my dressing table! When I first came across this I was actually browsing Etsy for something totally different - then this popped up and I had to have it, I love everything about it! Check out Susanne's Octopus mugs too, they are SO COOL. Likes to rummage for treasure and refashion un-loved clothing. Takes photos of everything. 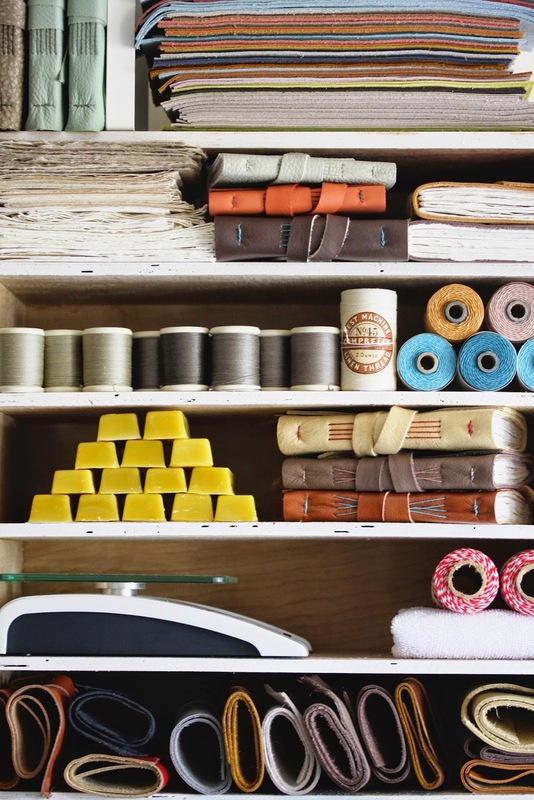 Collects buttons, vintage cameras and lace. All photos including background image unless otherwise stated are © Dearest Jackdaw. Simple theme. Powered by Blogger.